Some Christians insist on talking about salvation almost exclusively in the past tense, “…when I got saved…” On the surface, that might seem like a reasonable way of describing a distinct moment of “accepting Jesus into your heart” or “giving your life to God” or “beginning to following Jesus,” or however you would want to phrase it. Some describe this as a “conversion” or a “born again” experience. What I want to do here is show that concept of referring to yourself or others as “saved” doesn’t seem to actually map onto the language of the New Testament concerning salvation. I’ll admit from the outset here that I’m no Greek scholar, so I’m not going to traffic in Greek texts, or try to give you ‘word studies’ (that aren’t particularly helpful anyway) to try to bolster a point. We’ll just take a look at some translated texts (ESV) and I’ll you give you some thoughts. And that’s just a sample of the “saved” texts… We could also turn to those texts like Romans 8, I Corinthians 15 and II Corinthians 5 that are emphatic about our salvation being wrapped up in a future bodily resurrection. The New Testament teaching regarding salvation of individuals is in a present and future sense, and I think a good case can be made that it is actually exclusively present and future. 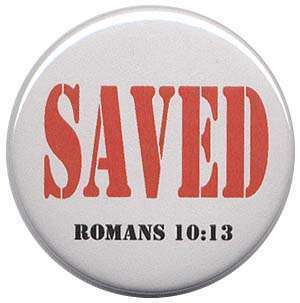 I see the authors saying “you were saved”… back there… when Christ died and was raised, and through your identification and participation with Him now, you are inheriting salvation, so that what God has done in Christ, He will do in you, in the ages to come. You’ll notice there are similar themes (above) in Ephesians 2 and Titus 3. What I want to suggest about these passages is that, as it concerns believers, we can locate our salvation in Christ crucified and raised, and that we can locate our salvation in the past, but not our past… not our personal story about when we embraced Christ as a fifth grader at church camp or as an adult sitting in the back of a church service or whatever our story might be… We can locate our salvation in the past work of Christ on the cross, dying for the sins of the world, and I think that’s what the authors might be getting at here. By now, you might have heard something about the so-called “culture-wars” in this somewhat un-united state of America. Whether we are quite as “polarized” today as the some media outlets would like us to believe, I don’t know, but I think it’s safe to say there are cultural shifts of persuasion on a number of topics in our culture within the last few decades. I don’t want to take on any one particular topic, or really talk about the culture-wars, except as a way to get at something more important. If we roll back the tape, American culture was more influenced by and in-step with what was considered Christian ideals on a range of issues. That’s not where we are today. What has happened? Why has the Church lost so much influence? I think the shift from a predominate Christian influence arose, first, from a theological shift within the Church. If the Church has lost the culture wars, they (or we) have lost it because they lost the places of culture-shaping. Where are these places of cultural influence? Paraphrasing a popular quote: “Let me make the songs of a nation, and I care not who makes its laws.” I think there is a sort of genius to this quote… that cultural influence is exerted from ‘underneath’… from the arts, from the educators, from the poets and musicians at least, and that true cultural influence is not exerted primarily from the top (power-over) from the politicians and the makers of law, etc. Here’s the theological shift I see… Along the way, in various intensities within various Christian traditions, gradually there began to be a retreat from the “world” toward the establishment of sub-cultures. That retreat’s underpinnings came from a particular theological take on the Church’s relationship with the world. The “sacred” and “secular” divide arose from a well-intended desire to preserve the Church’s integrity but the fallout was an unintended lost of influence in some of the key platforms of culture shaping. One feature of this shift was the creation of Christian institutions and categories. Just reflect on where we are now… We have Christian colleges and universities, Christian media & publishing companies, Christian para-church ministries, Christian bookstores, Christian artists, Christian music, Christian radio stations, etc. 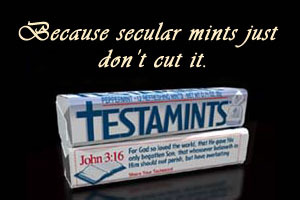 etc., and even Christian breath mints! These institutions and categories of orienting the Church to the world have created a sectarian sub-cultural splintering into ever-shrinking spheres of cultural influence. But the underlining theological shift goes deeper than the sacred/secular divide… The sacred/secular divide is the fruit and flower of the shift toward a neo-gnostic tendency to divide up the world up between the “natural” and the “supernatural” so that the Church is left to traffic in the “spiritual” and the world can carry on with the business of inquiry and development of the “natural” world. For example, you can see this in the Church’s primary concern for “saving souls” for a future spiritual heavenly destiny, in some important ways disconnected from the ‘here and now’ of the “natural world.” The problem isn’t that the Church has concern for “souls”… it’s that this concern is not the whole story because it arises from a bad theology (i.e. 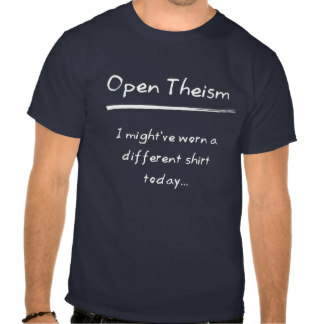 a bad ontology). Just to sum it up here, we’ve moved from the highly publicized “culture wars” of our day to see that the Church loses influence when it loses the places of culture-shaping. The Church retreats from the places of culture-shaping primarily on the basis of the sacred/secular divide, and that sacred/secular divide is informed by an underlining theology in tandem with an underlining ontology. There is certainly more going on that just this, but this hits the core highlights.